PAM authentication failed n a webmin server with no errors on CentOS 6 server. To fix this, i created a nom PAM user “admin”. 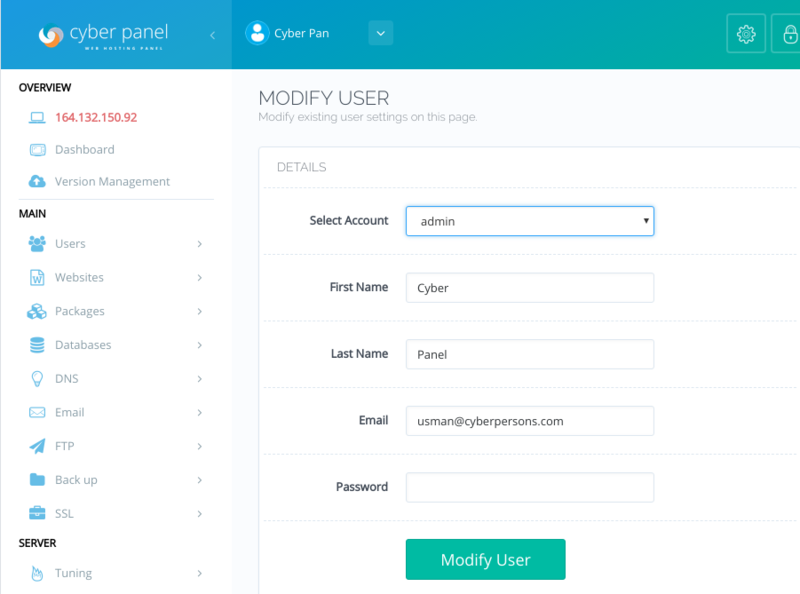 Set a password for user admin. 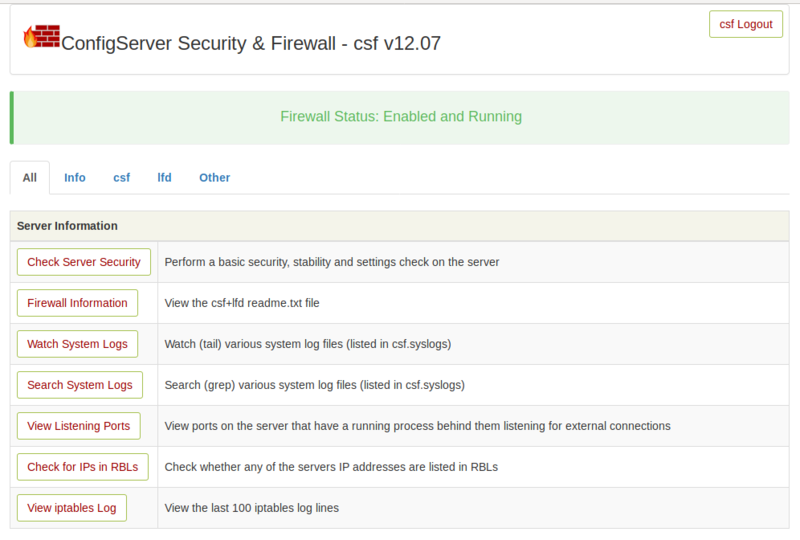 CentOS Web Panel (CWP) is a free hosting control panel for CentOS servers. 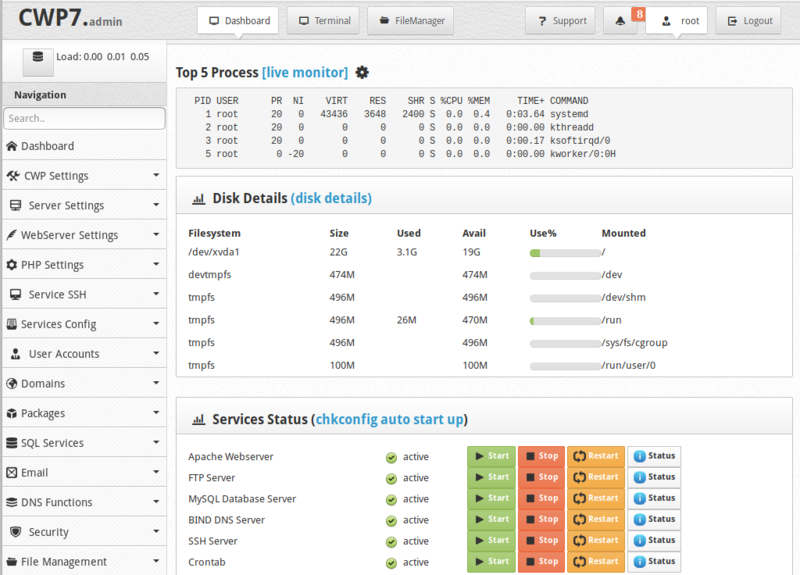 CWP use same Ports as popular Cpanel control panel. CWP Admin Panel available on following URL. You can login with system user “root” and its password. On CWP server, you can find MySQL login details in following config files. CPW have its own apache package with name “cwp-httpd”, don’t use default httpd package provided by CentOS. Change following settins as needed. UI_PORT = "6666" UI_USER = "username" UI_PASS = "password"
To use LetsEncrypt Free SSL certificate for CSF UI, i set symlink to ssl cert. You will see CSF UI running on port 6666. Click on the drop down icon. Click on “Edit Profile” Link. Next page will have a drop down box, where you can select the user you need to change password for. You can enter your new password on this page and click “Modify User” button to update user password. 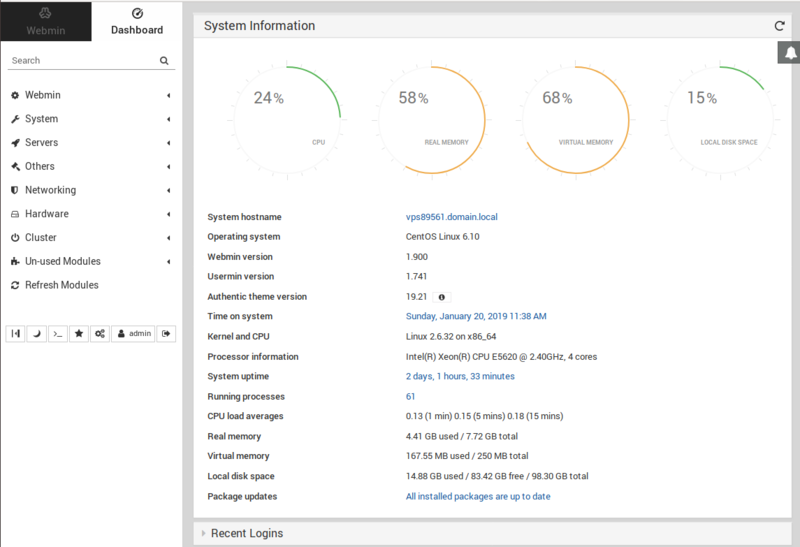 By default memcached on CentOS 7 is set to run on all IP address on the server. This allow attackers to abuse the service.